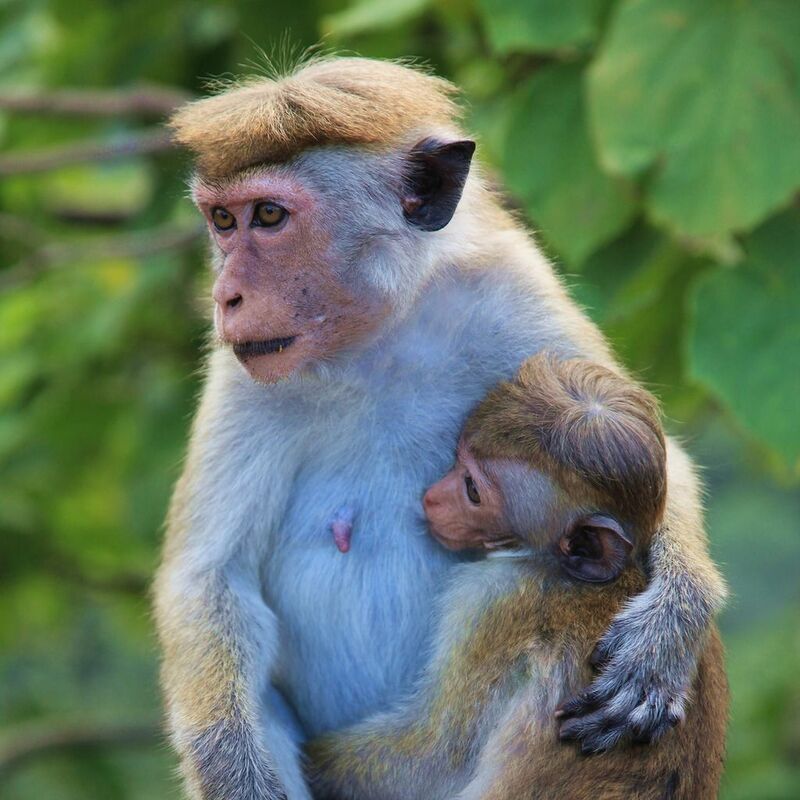 4S7DLG Team will be active from Sri Lanka, IOTA AS - 003, 22 November - 6 December 2018. They will be active on HF Bands mostly SSB, FT8. QTH - Hikaduwa, Sri Lanka. 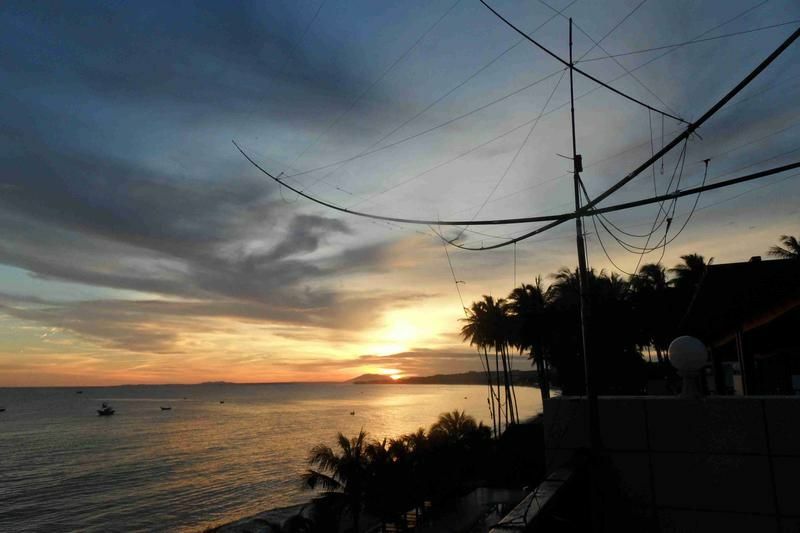 Radio Amateurs members of Lufthansa Amateur Radio Club, DK7TF and DH6ICE will be active again from Sri Lanka until 6 December 2015 as 4S7DLG. Officially the Democratic Socialist Republic of Sri Lanka, Sri Lanka is an island country in the northern Indian Ocean off the coast of South India in South Asia. It was occupied by the Portuguese in the 16th century and by the Dutch in the 17th century. It became a crown colony in 1802 after it surrendered to the British in 1796. Sri Lanka became independent in 1948 and had its name changed from Ceylon to Sri Lanka in 1972. Sri Lanka is bordered to the northwest by India and the southwest by the Maldives. It is a status and a unitary state that is presided over by a presidential organization. Its legislative capital, (SJK) Sri Jayawardenepura Kotte is a community of Colombo, the country’s commercial capital and largest city. Sri Lanka is located near major Indian Ocean sea lanes and boasts of a total area of 65,610 km², of which 64,740 km² of it is land and 870 km² of it is water. The country’s coastline stretches for 1,340 km. Sri Lanka lies on the Indian tectonic plate, which is a minor plate within the Indo-Australian Plate. It is separated from the Indian subcontinent by the Gulf of Mannar and Palk Strait and lies between latitudes 5° and 10°N, and longitudes 79° and 82°E. Pidurutalagala which stands at 2,524.13 m is the highest point while the rest of the country is mainly low and flat in terms of its terrain. Sri Lanka has 103 rivers, of which the Mahaweli River is the longest. It stretches for 335 kilometers. Sri Lanka is a tropical country, this means that rain is to be expected anytime of the year in most parts. It experiences to major rainy seasons in the months of October to January (North-East monsoon) and May to July (South-West monsoon). Sri Lanka’s official and national languages are Sinhala Tamil, with English being defined as the link language by the constitution. Other languages include; variant forms of Portuguese Creole and Creole Malay. Buddhism takes on 70% of the population followed by Islam, Hindu, Christian, and the unspecified which comprise of 10% of the population as of 2001. Sri Lanka's economy today is largely based on the service and industrial sector much as agriculture does also play an important role. Major industries to the country include; rubber processing, textiles, telecommunications, petroleum refining, cement and the processing of agricultural products. Major agricultural exports include; sugarcane, rice, spices, tea, coconuts, grain, beef and fish. Other industries include Tourism and its related services industries. Sri Lanka’s culture is majorly influenced by Hinduism and Buddhism and it dates back over 2500 years. The Sinhalese and the Tamil make up the two major traditional cultures to the country. The Sinhalese culture is revolves around the ancient cities of Kandy and Anuradhapura while the Tamil culture revolves around the city of Jaffna. The British colonial culture has also in recent times been embraced by the people of Sri Lanka. Dishes served in the country include rice and curry, whole meal Roti, pittu, String hoppers, Kiribath, wattalapam, eggs, cashew nuts, jiggery, hoppers and kottu. In the place of rice, jackfruit may sometimes be used. The food is traditionally served on a plantain leaf. Portuguese and Dutch influences can be seen with island's Burgher community, which preserve the same through traditional dishes such as Lamprais, Gumbo Lillas , Bolo Fiado and Breudher. The Middle Eastern influences and practices on the other hand can be seen in the traditional Moor dishes. Sri Lanka has a literacy rate of 92% hence making it one of the most literate populations among developing nations. There is an education system that stipulates that every child attain 9 years of compulsory schooling. Universal free education is provided from primary to the tertiary level. Volleyball is the country’s national sport although cricket is the most popular. Other sports include football, athletics, tennis, rugby, as well as aquatic sports such as swimming, surfing, kite surfing, boating and scuba diving. The water sports activities also attract a number of tourists thanks to the beaches and backwaters that are found in the country. In addition, Sri Lanka also has two styles of martial arts which are native to it and these are Cheena di and Angampora. 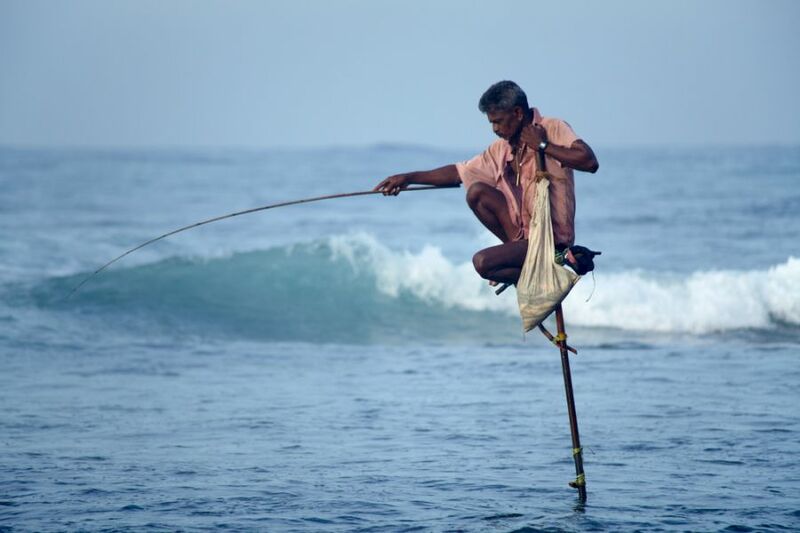 Sri Lanka, south coast - Very unique fishing style in Sri Lanka. The fisherman stands still on an only wood stick then wait for an fish. The action to mean ‘yes’ is a shake of the head from side to side. Even though cricket is the most popular sport in Sri Lanka, volleyball is actually the national sport of the country. The Sri Lanka Constitution was adopted on the 16 August 1978, certified on 31 August 1978 and has been amended a number of times, with the most recent being in 2010. The most sacred mountain in the country is Adam’s Peak. Pilgrims from all over go up to its peak by candlelight and stand in is believed to be the footsteps of Buddha. Pidurutalagala which stretches for 2,524 m is Sri Lanka’s highest point. Cinnamon, a spice which was discovered by the Egyptians actually originated in Sri Lanka. Most of Sri Lanka’s electricity is powered by hydro-powered energy thanks to numerous waterfalls that it has. Sri Lanka’s national flag is dubbed as one of the oldest flags in the world. In the whole of South Asia, Sri Lanka, with 92% of people living in the country being literate boasts of a highest literacy rate. 4S7DLG. Where is Sri Lanka located. Map.